The Florida Sheriffs Risk Management Fund often sponsors or holds training to enhance the professionalism of law enforcement officers and provide those officers with what may be lifesaving tools and tips. 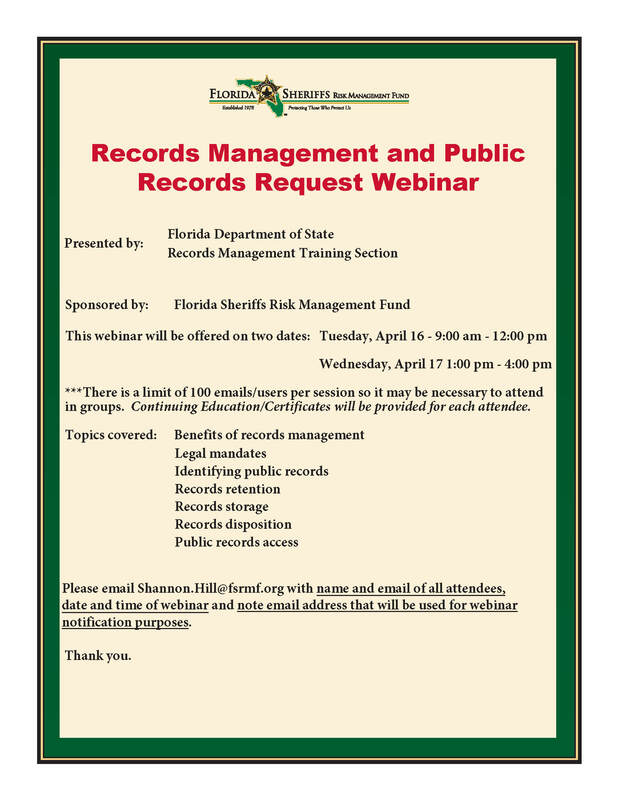 Information on those events, and other relevant events, will be posted to this site as they are scheduled so check back frequently for the latest on Florida Sheriffs Risk Management events. In the meantime, following are links to the conference and training schedules for our partner, the Florida Sheriffs Association, as well as the training/conferences site for the Florida Police Chiefs Association.